Several kids have been asking for the Chickadee Court Mysteries. I wasn't familiar with the series name, but when they asked for Who Stole Halloween? and Who's Stealing the 12 Days of Christmas? at least I could find that we had them. I never got around to reading either, which was unfortunate since they seemed to be fairly popular with kids. While at my branch of the public library, I found Who Stole Uncle Sam? the latest adventure on the shelf and it didn't even dawn on me that it was part of the same series until I got it home. So finally, I was introduced to the Chickadee Court detectives, Alex and Yasmeen. Billed as "tween sleuths" on the jacket flap the two are best friends in a small town called College Springs, PA...huh...author Martha Freeman resides in State College, PA...coincidence? I THINK NOT! These tween sleuths got nothing on me! This book, and I assume the others in the series too, will reach a wide variety of readers. I'm thinking third to fifth grade. In this adventure, Alex's baseball coach, Sam Banner, comes up missing just as he is supposed to lead the Memorial Day 5K that is sponsored by his lawn care company. It's a tradition for him to dress as Uncle Sam. When he goes into the Porta Potty to change, things go a little crazy with a fire that ruins all of the Fourth of July fireworks, and the coach is missing. He quickly re-appears in a different Porta Potty then the one he went into originally, and the mystery is afoot! Martha Freeman gives the reader a really colorful cast of characters. There's Bub, the Viet Nam vet that lives on their street. He is known for his open door and constant pot of soup. Bub also helps the kids pull their info together. In this adventure, Alex interviews Bub about his Viet Nam experience for a class report, and the author does an excellent job of presenting this tough time in our history. Officer Krichels is a bumbling, Barney Fife type police officer that works with Alex's mom. He comes in and out of the story, always adding a twist through his mistakes. Alex and Yasmeen interact with Sofie Sikora, a hyper little chatter box that drives them both crazy, but helps them discover some interesting information about the case. Finally, Alex's assistant baseball Coach Hathaway is also a Viet Nam vet that returned from the war and joined the peace movement. He still sports long hair and and earring and presents the other side of the conflict for Alex's school project. It's fun quick read, and Martha Freeman keeps the reader guessing enough to keep them interested in the story. Just when I thought I had it figured out, a twist came along to throw me off on another solution. I can see why the kids like them, now that I've read one, I'll be recommending the Chickadee Court Mystery Series to more readers. 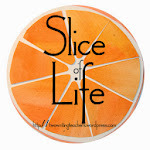 Mary Lee (A Year of Reading) just sent us the best website -- it is a wonderful compilation of all you would need to know about the kidlitosphere -- complete with kidlit blogs, author blogs, resources, and Cybils information! Be sure to check it out!! Well, the 2009 ALA awards have been revealed, and for a group of Columbus bloggers, it was time to gather and reflect on the results. We started at our favorite children's bookstore, Cover to Cover. The gathering included Bill (my blog partner), Katie (Creative Literacy), Abby and Lauren (Authentic Learner), Kristine (Best Book I Have Not Read), Amjed Qamar, Franki (A Year of Reading), and Mary Lee (also from A Year of Reading, and our celebrati on organizer!!). One of the first things we found out when comparing reading notes, was that only three people we knew had actually read the Newbery winner, The Graveyard Book. It was a picture-worthy moment for these ladies -- way to go Beth, Franki, and Sally (owner of Cover to Cover)! The Graveyard Book -- I had ordered it from the public library, and it was in a TBR pile in my living room. Does it count that I had it in my possession?? The Underneath - We had both read it, and thought that it was very well written, but were not in the group of people that absolutely loved it. Surrender Tree: Poems of Cuba's Struggle for Freedom - Neither one of us had read it. Savvy - Bill is so happy about this selection, especially after he and another teacher at our school had led a Grand Discussion on this book just last Thursday. They had over 50 parents and children there -- how great is it that this group had an in-depth conversation about a Newbery Honor book! This is also in my TBR pile, and I will be getting to it immediately. After Tupac and D Foster - I read half-way through this on Sunday. Personally, I felt that the content of this book was for a much more mature audience. We gave it our best shot - trying to read the Newbery before it was announced - when we did our Looking for Newbery series. While our success rate was about 50%, we had tons of fun in the process. We'll be back next year, trying to find that one special book that will be announced as a "winner"! In the meantime, thanks to Mary Lee for organizing tonight's Newbery Celebration. It was a great group of people, many new purchases were made at Cover to Cover, and everyone had a fabulous dinner at The NorthStar Cafe afterward. I've included one final picture of our fun group (unfortunately, Bill was not with us for the picture - he had to leave for his dad/coaching duties before we left for dinner). As Bill said in his post on Friday, this last month has included some intensive reading and reflecting on our parts, but it has been very enjoyable. And maybe, just maybe, we actually reviewed a book that will be announced a "winner" tomorrow morning in Denver. That being said, all of these books were wonderful reads, and true winners in my mind (ok, I know that was spoken as a true elementary teacher)!! Waiting For Normal (reviewed by Bill) -- Bill said it well, and I just tagged on by saying Waiting for Normal is a wow!! Greetings From Nowhere - I said it in my review and I'll say it again -- I think Barbara O'Connor has a true gift when it comes to character development. Trouble (reviewed by Karen)- loved how two apparently divergent story lines mesh into one. Might be for a slightly older reader, but the message is a great one! Eleven (reviewed by Karen) - as a side note, any book that lays emphasis on the power of words and reading is a winner for me! Alvin Ho: Allergic to Girls, School, and other Scary Things (reviewed by Karen) - what an unexpected pleasure this book has been as I just finished reading it aloud to my students. The language is amazing -- it is so much more than just a humorous book!! The Porcupine Year (reviewed by Karen) - I don't think I would have ever picked it up on my own while shopping in a bookstore, or browsing in a library. However, I read it because it made a few mock Newbery lists, and, much to my surprise, I was totally entranced by the people, the setting, and the language. Jimmy's Stars (reviewed by Karen) - another unexpected surprise. This book literally moved me to tears. 1. Waiting for Normal: I won't bore you with the details, I've reviewed it twice, and nothing else is as good this year in my mind. 2. Shooting the Moon: I never reviewed this one due to the fact that lots of others did, but the story was moving. It does a great job of dealing with the conflicted family during the Viet Nam War in a way that the elementary readers can understand. 3. Itch: Haven't seen it on anybody's list, and it's definitely a dark horse, but it's one of my absolute favorites of the year. 4. Savvy: We had a very Grand Discussion on Thursday, and I would love to say we picked this one before it won the award. Not to mention, it's a great book that really resonates with kids. 5. Diamond Willow: Awesome characters, interesting concept with the story in the story. 6. 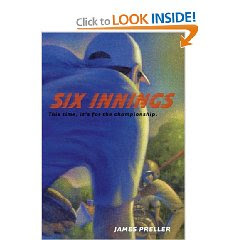 Six Innings: Something of a selfish pick, although I think the book is deserving, since James Preller is coming to see us in March. The characterization in this one is extremely well done. It's been a fun year. Hard to believe that this time last year, Karen and I had just written our first blogs for our friends at A Year of Reading and we were hooked. It was just a few weeks later that Literate Lives was launched. Thanks for reading. I'm pretty sure the vote was influenced by THE PIT since Dinosaur vs. Bedtime was the last read aloud before the voting and it was LOUD! I think my throat is just now recovering. I didn't do as much research into what the experts' favorites were this year I just went with what was read and enjoyed in the library. My predictions are as follows, again, I didn't pay as much attention to what the favorites were this year, so I don't expect much success, but I highly recommend all of these fabulous books. 1. Twelve Terrible Things: I reviewed it here. The perspective on these pictures is amazing and I still laugh out loud every time I look at it, I'm only afraid it came out too late in the year to get much attention. 2. Woolbur: I love this book. The sheep refusing to follow the flock makes me smile. I reviewed it here. Sort of opposite of Twelve Terrible Things, this book got a lot of love in the beginning, but I'm afraid people may have forgotten it came out in 2008. I know I did. 3. Friday My Radio Flyer Flew: Look at that kid's face! I love the two page illustrations. My review is here. 4. Abe's Honest Words: Kadir Nelson, 'nuf said. I regret that I forgot to put this one out for the kids to vote on. 5. The Little Yellow Leaf: Ok, this one is making an appearance on some lists of favorites. I never paid much attention to it until recently when I shared it with the kids in THE PIT as an example of what the "experts" are saying may win. The more I read it, the more I liked it. This will be our last post reviewing one of the contenders from THE LIST posted at Fuse #8. Tomorrow I plan to post about the Caldecott voting at our school, and to give my picks for that award. Based on the lists I've been looking at, my success rate should be pretty low, hopefully our Newber picks on Sunday will be much better. Looking for Newbery has been an incredible thing for us. Karen and I have enjoyed reading as many of the books as we could squeeze in in 28 days, and both of us found things that we wouldn't have read otherwise. For me, I was pretty happy when I saw how many of the books from THE LIST I had already read and many of them posted. So, from both of us, thanks for following along over the last 28 days, we're glad you en joyed the series. It only seems appropriate to end this series with my first Newbery post on Literate Lives. I read this way back in March and made it my first pick of the year. I'm sticking with it. Waiting for Normal became the measuring stick by which all other books were measured this year. I still haven't found anything I like as much as this. As we close in on the big announcement, I plan to finish out our Newbery marathon with a few reviews from the past year. The first is significant, not only because it's a great book, but because on Thursday, we will be Grand Discussing this book with a group of kids and parents. The reaction I'm getting from the kids is one of excitement and enjoyment of this book. They seem to really be relating to this one. I called this a "coming of age" story in my review last September, but it's really more than that. In our pre Grand Discussion, discussion, my friend and colleague pointed out that the story is really about EVERYONE having a "savvy." Your savvy may not be a super power like the Beaumonts, but we all have one. The trick is to find it and use it to its fullest. WOW! Now why didn't I think of that, I guess that's why she's the gifted teacher. First of all, let me say -- whoops!! Sorry we missed a day yesterday, but we're back all week, up until the Newbery Awards are announced next Monday!! I heard about The Last Invisible Boy by Evan Kuhlman when Anokaberry posted a list of her top reads for middle grade readers from 2008. There were several books I hadn't heard of, but this one really appealed to me. The Last Invisible Boy was an amazing read. From the front cover, and by flipping through pages, I thought this book would have similarities to Diary of a Wimpy Kid. I enjoy the Wimpy Kid books, but this book is much deeper than those. This story is about a boy, trying to lead a normal life, after a tremendous loss in his life. Unfortunately, he feels he is disappearing, and has some physical signs this might be true -- black hair turning white, and skin growing paler every day. Very intriguing stuff. 1) The voice in the story is amazing. It is written in first person, but it is written in a way that you feel the main character, Finn, is talking right to you. 2) I don't know exactly what goes on in the minds of boys, but I have to believe that the way Kuhlman writes Finn's thoughts might be accurate. 3) Finn, the main character, has a love of words, but he especially loves knowing what names mean. Every time a new character comes into Finn's story, Finn tells the reader what that person's name means. His full name, Findlay, means "fair hero" or "small blond soldier". His middle name, Abner, means "my father is light". 4) The setting is in Ohio, and when Finn's family goes to the "big city", they're headed to Columbus ( where I live). 5) It deals with a friendship between a boy and girl as they start to notice each other in a different way, without being too mushy. "My name is Finn Garrett and this is my book and this is my story. It is a story about losing something. No, it's a story about sudden change. Or it's the official autobiography of The Last Invisible Boy. Me. There will also be some silliness, lots of my sucky drawings, a pop quiz and fun homework assignments, three or four family photos, and a few of my favorite memories. Caution: Sometimes this story will get a little sad. But it won't always be sad. This book. It's like I'm driving a school bus but my legs are too short to reach the brake. It's a runaway bus so anything can happen." 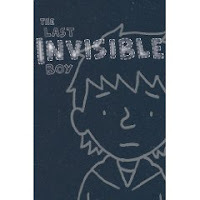 I loved The Last Invisible Boy. It will definitely have a place in my classroom library!! I would definitely throw it into a Newbery hunt, as well. First of all let me say, I love this cover. Second of all let me say, I love this book. I'm not sure about Newbery, but what a story. Very intense! Based on the life of Helmuth Hubener, The Boy Who Dared takes you in from page one. Susan Campbell Bartoletti does an amazing job of switching from Helmut in prison, to flashbacks of what caused him to be there. Helmuth was a teen age Mormon boy in Nazi Germany. He went through all of the steps to become a "good" Nazi, loyal to the party, memorizing all of the important Hitler propaganda, writing all of the right things on his school papers. He began to have problems with the whole thing when he watched his Jewish neighbors start to get mistreated and run out of the country. Then his religious convictions cause him to question the Nazi way. Helmuth begins to listen to the BBC illegally on a shortwave radio in his grandparent's home. He begins to publish and distribute pamphlets with the help of some teen age friends. As part of his Hitler Youth internship, he finds all of the banned books in a store room and reads some of them. They lead him to believe it is his moral responsibility to speak out against the party. All of this lands him in prison where he endures beatings and interrogations. I'm going to stop there, because I really don't want to ruin this book for anyone. Just let me say it again, it is INTENSE! After the historical fiction portion of the novel, Susan Campbell includes photos of the actual Helmut, his family and friends, as well as current photos of the German prison in which he was incarcerated. She also includes the "what happened next" part that so many historical novels leave out. The reader is not left wondering, it's all here in the book. Ellie McKelvey is a sixth grader in 1943, when the story starts. She has a loving family, and her worst problem in the beginning of the story is her neighbor, and fellow classmate, Victoria (a real loudmouth and bully). Ellie's older brother, Jimmy, is her best friend; they have an incredibly close relationship, and do many things together. Life drastically changes for Ellie when Jimy gets his draft notice, and has to report to boot camp. "The bright blue days of October had given way to the battleship gray of November." "The last week of January dragged by on slushy feet, each day drearier than the one before." "Spring arrived ever so slowly in Pittsburgh. Even though the calendar said April, winter lingered on. The cinder-crusted snowdrifts dwindled, then grew tall and white again with new snow." And in August -- "Tree shadows stretched across the asphalt, still sticky with heat." There was a lot to love about Jimmy's Stars -- the main character (Ellie), the historical setting, Ellie's family, the language, the passage of time. There was even a character, Toots (Ellie's aunt), who comes to live with the family while Jimmy is gone that is quite well developed, and a pretty pivotal character, as well. Another character that added dimension to the story is Ellie's 6th grade teacher, Miss Granberry She is a calming force in a time of great change for many families. But the best part of the story for me was the happiness of Jimmy, Ellie's brother. He was a kind man who helped others, and always had a kind word and smile for people he met. He was constantly telling Ellie, "You have to let the joy out." I love that phrase, and it is repeated often. We should all have such a positive outlook on life. 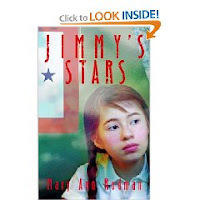 Jimmy's Stars is well done, and a book worthy of several mock Newbery mentions. 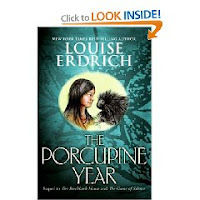 The Porcupine Year by Louise Erdich was a huge surprise for me -- a delightful surprise, but still a surprise. It was mentioned on at least 3 mock Newbery lists, and then, just this week, as some blogs are starting to make final predictions, The Porcupine Year, is getting a lot of attention again. This book has been in a TBR pile at my house for a while, but whenever I looked at the cover, I just couldn't make myself continue. My apologies to anyone who loved this cover, but it most definitely didn't appeal to me. But that is the only negative comment I can make about this book. When I finally got past my cover-phobia, and cracked the book open, it was sheer delight. I was hooked right away with the end pages, displaying a map that helps with both location and sequence of the story (I love when authors do that -- it really helps me as a reader), and the excitement of the first chapter (will they, won't they survive the rapids?). I am a sucker for well-developed characters, and Erdrich really delivers on that!! Even the porcupine's character is well developed! I was also fascinated by the life of the Ojibwe family that is at the center of this story. Their daily existence, and how they used the natural resources around them was very compelling. I started reading The Porcupine Year one night, and didn't come up for air until I had finished. It has strong plot, wonderful descriptive language, bad guys, adventure, survival, and great characters. I loved it! I've read a lot of books this year, many of them on THE LIST, but few have made the impression of Diamond Willow by Helen Frost. I love how she created the story within the story, her beautiful descriptive language, her character development and the careful selection of words. Helen Frost says so much in so few words that this one makes my list of favorites. I have handed it to at least a dozen kids, and they have all recommended to a friend. In my opinion that's the mark of a great children's book. Here's my review from July. This makes the second Elvis impersonator book I've reviewed, go figure. The first was All Shook Up by Shelley Pearsall, which I liked. Several kids have read it from the library and they like it too. I was a bit surprised to see a second one, let alone on THE LIST for Newbery attention. 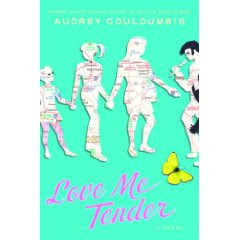 Love Me Tender by Audrey Couloumbis started a little slow for me. It seemed like just another dysfunctional family with an Elvis impersonator thrown in for a twist. However, because my partner in blogging got me to commit to this Looking for Newbery thing, I had to finish it. As I continued to read, I began to realize just how good it is. My daughter appeared in a production of Steel Magnolias at her high school this fall, and somehow I couldn't stop thinking about it. There were a lot of similarities. The book starts with 13 year old Elvira's daddy leaving their North Carolina home for a big Elvis impersonator competition in Las Vegas, where else!? We soon meet her very pregnant mother called Mel by Elvira, not mom, her annoying little sister Kerrie and the dysfunction begins. Mel doesn't want to get out of the lounger she just wants Elvira to take care of everything and she is sick of it. The story of her frustration is told through some flash backs and memories. When Mel receives a cryptic phone call from her sister, Clare, pronounced CLA-REE, regarding their mother's help, Elvira, Mel and Kerrie load up dad's classic auto and head out on the road. This is where the story really took off for me. The character's come to life as they get to know each other allowing us to get to know them as well. The conversations in this book are priceless, lots of southern woman back and forth, with biting humor, hard honesty, and love that only a family can share with one another bring all of the women closer and to an understanding. I think my favorite character is "the grandmother" as Elvira calls her. Elvira and Kerrie don't really know this grandmother because of some hard feelings between her and Mel, so when they finally meet her she is a bit gruff and hard to read. In the end, the girls and Mel melt her no nonsense exterior and find a warm, caring grandmother that Elvira comes to love. I think girls especially are going to love this book. I'm still debating whether it's appropriate for our elementary library, but it was definitely worth the read. Kids love a great, creepy, suspenseful ghost story. 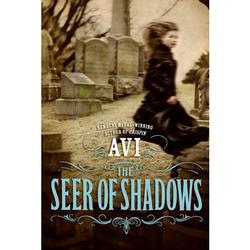 Kids are going to love Seer of Shadows by Avi. I know people that love everything Avi writes, and I know people that don't like anything he writes. I'm kind of a hit or miss on Avi, I either really like them or can't finish them. This one...I couldn't put down. Avi does a great job of keeping the suspense going and makes the story just creepy enough to give the reader chills down their spine. My favorite scene was the visit to the von Macht mauseleaum and the visitors he encounters there, AWESOME WRITING! I actually talked to my fourth and fifth graders about this book today, and they are already asking to reserve it before I've even bought a copy. I have a feeling this one will be flying off the shelves in no time. 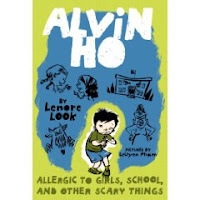 Alvin Ho: Allergic to Girls, School, and Other Scary Things by Lenore Look is a hoot to read! I am currently reading this book aloud to my class, and they are thoroughly enjoying it. One student commented on the very first day that he thought Alvin Ho was a character very similar to Junie B. Jones -- a little young and a lot needy. There was much conversation about his statement, but I would say that Alvin Ho's character, and the characters that surround him, are much more clearly developed than the Junie B. Jones' characters (and I love Junie!!). Alvin is a second grader who loves superheros and has even morphed into a superhero himself at times -- Firecracker Man. But Alvin is afraid of a huge laundry list of things, and my students were quick to pick up on the idea that he probably becomes a superhero so that he can feel brave at times, since he is so scared most of the time. The supporting characters -- his family ( Mom, Dad, Calvin - brother, Anibelly - sister, and Lucy - dog) and his friends (specifically Flea, Pinky, and Jules) are all well developed, and each has an important part in the story. The whole book is fun, and written in first person. One of my favorite chapters is the first, where Alvin introduces himself. There are six things to know about him: 1) his name is Alvin Ho and he is scared of many things, 2) he loves things that explode, 3) the names of his dog and other family members (see above paragraph), 4) he loves superheros, 5) "a long time ago", before he went to school, he was a superhero - Firecracker Man, and 6) he has never spoken a word in school. All these pieces of information help "drive" the rest of the book. For a book that is written in such a humorous way, I was caught off-guard by the great language Look uses -- she effectively includes many similes, metaphors, alliteration, and onomatopoeia within the context of her story. I also love that the characters in the story have ethnicity, both in words and in pictures. Alvin Ho actually made 4 Mock Newbery lists, which surprised me a little because it didn't seem like the type of book that might win a Newbery. After reading it, I can now better understand what those 4 groups were thinking when they included this book in their top picks. The best part of this book is how kid-friendly it is -- lots of children will connect with Alvin. Even if Alvin Ho: Allergic to Girls, School, and Other Scary Things doesn't win a Newbery, it is definitely a book that should be in classroom libraries -- if my students are any indication, kids will love this book!! It looks like this will be a series -- the next book is due out in late June! I am a huge fan of Barbara O'Connor!!! I loved How to Steal a Dog, and was very excited to get Greetings From Nowhere when it came out. I was so pleased to see that it got a little love from someone's Mock Newbery list. The characters are well developed, the book is told from multiple points of view, and the language is beautiful. I'm also a fan of how Barbara O'Connor uses sentences that are really phrases -- it was very effective. 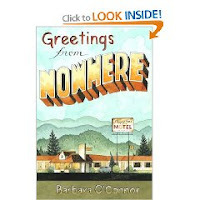 Finally, I loved Greetings from Nowhere because it brought back so many childhood memories of spending a week each summer at my cousin's house, which was really a motel just like the one in this story. For more details, check out my review. Ellen Booraem's new fantasy, The Unnameables, has Grand Discussion written all over it! It only got one mention on THE LIST, but that may be due to the fact that it was only released in October. A new society is formed on an island and everyone has to switch their last name to reflect what they do, for example, Weaver, Potter, Carpenter, etc. The society lives by The Book, an ancient book of advice and wisdom written by Capability C. Craft in 1680 and creates only things that are deemed useful and can be named. Anything else is seen as evil and can be cause for removal from the island if the council decides. Children go through "transition" at age 14 or so and at that point they are given the last name that reflects their craft. Medford Runyuin is an orphan that ends up on the island as a baby after his parent's boat wrecks on the shoals. He is taken in by Boyce Carver and his wife. Medford is trained in the family craft, and at age 10 begins to make unnameable objects, artistic carvings of things found in nature, and busts of other islanders. He knows they are evil, and hides them under his bed, but can't bring himself to destroy them as he knows he should. Medford is friends with Prudy Carpenter who dreams of following her father's footsteps to become a carpenter. However, Deemer Learned, the teacher has other plans, and after sending his own daughter from the island under questionable circumstances, he chooses Prudy to be trained as a teacher. It takes the appearance of a mysterious Goatman creature to wake up the citizens and bring the truth out of the corrupt leaders. As in The Giver and City of Ember, the "perfect" society is not so perfect. Power hungry leaders keep secrets from the citizens, hide their own faults, and pass judgement quickly on others. Unfortunately for all of us educators, the bad guy in this one is Deemer Learned, the teacher. I was fascinated by the idea of this book. Ellen Booraem does a great job of keeping the fantasy believable and moving. There are so many societal issues involved that the book will lead to some great group discussion about right and wrong, the need for power, and life choices. We're jumping in the way back machine for this post, way back to April of 2008! I reviewed Jessie's Mountain by Kerry Madden. The three novels about Weems family are full of beautiful language and conversation. Kerry Madden does a masterful job of creating life in the Smokey Mountains in the early 1960s. I must admit that it took me some time to get students interested in these books, but after one student enjoyed them it didn't take long for the word to spread about this wonderful books, Gentle's Holler, Jessie's Mountain, and Lousiana's Sky. I was thrilled to see Jessie's Mountain on THE LIST, even if it did only get one mention. 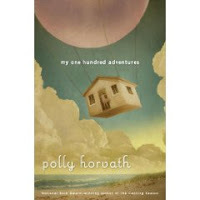 My One Hundred Adventures by Polly Horvath has been mentioned on several Mock Newbery lists, and has been reviewed by many other bloggers. "Mrs. Merriweather probably wouldn't understand this... She has had another sort of day and will never know ours. Suddenly I realize that everyone in the whole world is, at the end of the day, staring at a dusky horizon, owner of a day that no one else will ever know." "I know Sunday is supposed to be the beginning of the week but my mother's Sunday tranquility makes it feel as if we are putting the week to bed, pulling the covers up under its chin, blessing what has been and closing its eyes for sleep." "It is such a luxury to be read to. Not to have to make a response or remember any of it and keep my attention focused." "Is this what it is to get old, to have adventures you can no longer tell your family because you are moving apart from them? Is this why my mother likes to have Ned around, so that she has someone to whom she can always tell her adventures? Or do you grow up and have adventures you tell no one? Are some adventures only yours alone?" So, I personally really loved the descriptive writing of this book. But, in the back of my mind, I always read and wonder how a book would appeal to my 5th graders. In the case of My One Hundred Adventures, I worry that the adult characters have so many layers and complexity to them, that it would be hard for a 5th grader to always understand their motivations. That being said, I would entirely understand if this lovely book by Polly Horvath would win a Newbery. Horvath certainly does have a way with words, to say the least! :) In addition, the ocean is such an important setting in this story, and for those of you who have read my past blogs, you know I'm a sucker for stories set on water. I will say, the further along Bill and I get in this Looking for Newbery fun, the more I realize how much I don't envy the choices the Newbery committee will be making. There are so many excellent books that have been written this year! To single out a few must be an incredibly difficult task! I'm just having a great time reading some wonderful books along the way!! I'm really trying to finish another new title from the list at Fuse #8, The Unnameables by Ellen Booraem, so far I like it, so I'm going to link to a review I did in October. 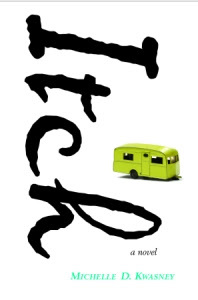 Even though it didn't appear on THE LIST, I feel compelled to once again, throw Itch: a novel, by Michelle D. Kwasney into the mix. I'm not sure why this book didn't receive much attention, but I loved it. Great characters, quickly paced plot, handles a touchy subject matter in an appropriate way for kids, all of the things excellent books have going for them. Let me know what you think if you've read this one. 1. Metropolis: No, not where Clark Kent and Lois Lane live, it's the dark, dirty place where the story takes place. Metropolis has no color or life to it thanks to the Baron Ignatius Fyodor Maximus von Strompie III the not too bright ruler who rules with an iron fist. 2. Baron Ignatius Fyodor Maximus von Strompie III: The not too bright ruler of Metropolis who rules with an iron fist and nobody likes. 3. Cloons: People who have cloondium felicitatum a condition which causes the nose to grow large and round and red. It also causes the feet to become extra long and wide and the complexion to take on various bright colors and the personality to "take a sudden turn to the outlandish." All of these symptoms tend to show themselves around the age of 10 or 11. 4. Pat pats: Short for Patriotic Patrol. The goon squad of the Baron. They go around collecting stray children, cloons and other entertainers, vagrants, people who generally annoy the Baron or his wife and throw them in the Choir Stall. 5. The Choir Stall: The miserable prison in the middle of Metropolis. 6. Jeremy Cabbage: The orphan who begins life with his beloved Polly and the Parrots living in the Licreeary hiding from the Pat pats and is later adopted 3 times, the last by a couple of cloons who finally show him what a real family is about. 8. Bits and pieces: I made this one up. 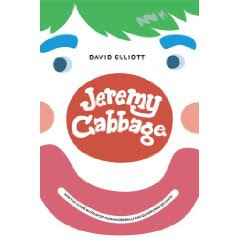 The story of Jeremy Cabbage is filled with little bits and pieces that keep coming back and connecting with another bit or piece until the end when all of the bits and pieces come together for a predictable, but happy ending. The writing is pretty amazing the way that David Elliot keeps the story turning on itself and moving at the same time. While I wasn't enthralled with the book, I couldn't put it down either! 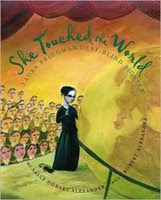 She Touched the World: Laura Bridgman Deaf - Blind Pioneer by Sally Hobart Alexander and Robert Alexander is a biography written at a level that most upper elementary students could read and understand. Laura Bridgman was the woman that cleared the path for Helen Keller, in fact, I learned from this book that she taught sign language to Anne Sullivan, Helen Keller's teacher. Laura was one of the first two students to study at what would become the famous Perkins School for the Blind. Her teacher Dr. Samuel Gridley Howe met Laura and was so taken by her intelligence and curiosity that he took her to Boston to begin testing some of his theories on educating the handicapped. He was so successful with her that his school grew into the facility that we are all familiar with today. While Helen Keller may be the most famous student, Laura Bridgman was quite possibly its most important. Without her eventual willingness to learn and try new things there most likely would not have been a Perkins School for Helen Keller to attend. The book is well written and full of information that I was not familiar with. As far as biographies go, its good, but I think I was most impressed with the information shared at the end. The author, Sally Hobart Alexander, is blind and hearing impaired. She shares how multi-handicapped people cope in our world today. I especially like the way in which she compares what her life is like to the life of Laura Bridgman in the 1800s. This countdown thing has sort of forced me to finish books that normally I would put aside because they are not age appropriate for our library. 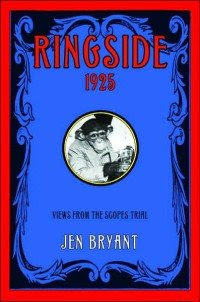 Ringside, 1925 is one of those books. Written in one of my favorite formats, free verse, by Jen Bryant, the book follows 9 characters as they witness the Scopes Trial in Dayton, Tennessee. I'll admit I know very little about the trial, just the basics, but that really didn't matter when reading this novel. Jen Bryant does an outstanding job of presenting a picture of life in 1925 Tennessee. The story is told from the perspective of a teen age girl who wants more from life than keeping house and raising a family. We see the trial through the eyes of two teen age boys who are best friends who find themselves on opposite sides of the evolution argument. A poor African American boy who is self taught, intelligent and hard working watches the trial while he works setting up chairs and fans and tables, and dreams of life as a lawyer, pretty far fetched in 1925 Tennessee. All of these characters, in addition to the adults that inhabit Dayton, Tennessee bring the famous trial alive in a way that middle school readers will understand. Although it's not written for the students I teach, the writing is well done, and, in my opinion, worthy of an award. I will not be disappointed if Rinsgide, 1925 is chosen. And now for the thrown in Caldecott. Once again the kids at my school will be voting for their choices, and in compiling my list, I've run across some titles I had forgotten came out in 2008. One such title is Woolbur, one of the big hits in THE PIT last year. Here is my review. I was a busy beaver today, doing many, many errands, so I'm bringing a book back from our archives today since I didn't get an opportunity to read another Newbery possibility from the mock Newbery lists. 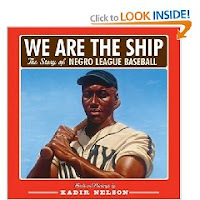 When We Are the Ship by Kadir Nelson came out, I read it, and fell in love with it, and wasn't shy about saying so. I'm not sure into what category We Are the Ship fits, but it is beautifully illustrated and beautifully written. We Are the Ship is truly a creative piece of art. And according to Fuse #8's mock Newbery roundup, it seems that four mock Newbery lists would agree with me! 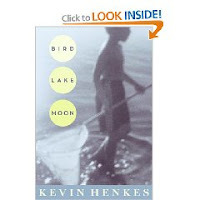 Bird Lake Moon by Kevin Henkes was an absolutely delightful book! Having the setting be at a lake was so key to this story -- I've always believed in the healing powers of bodies of water; I don't know what it is about water that is so calming for me, but it is. Even in my adult reading, I just read a book that was set in Nantucket, and I felt relaxed just reading about the beaches and the ocean waves. In Bird Lake Moon, the lake also draws the characters together in an important way. Henkes has created and developed two boy characters (Mitch and Spencer) that will stay with me for a while. At the heart of this story is how friendships can be cultivated, tested, and eventually, they can endure. The relationship beween Mitch and Spencer is one of the reasons I couldn't put this book down from the moment that I started it -- I read it through non-stop yesterday afternoon. Another reason I loved this book is the beautiful language Henkes incorporates, and how the story continually changes point of view between Mitch and Spencer. Four Mock Newbery lists felt that Bird Lake Moon needed some love January 26 -- I think these 4 lists have chosen well!!! This is Day 7, and it is also the first day of 2009. Happy New Year!! Don't forget that the Cybils shortlists announcements are today. Bill and I will be back tomorrow, still looking for that possible Newbery Award winner. :) Only 25 days to go!